Tucker Law is a personal injury attorney law firm that is serving the Sunrise area. 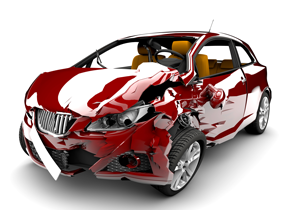 It is important to note that accidents and car related negligence can be regular occurrences in this area. Sunrise is a busy place and accidents are happening daily. Unfortunately we cannot control other drivers and every time we get into a car we are taking a small risk. With the help of a personal injury attorney serving Sunrise you can receive fair compensation for any injuries that you may have fallen victim to as a result of another driver’s negligence. All accidents should involve a personal injury Attorney serving Sunrise when injuries result because an adjuster is at an advantage negotiating with an inexperienced claimant. Most accidents can cause time of work, small injuries and more. This type of lost wage liability, or even injuries, tend to be consistently diminished by insurance adjustors. Diminishing the value of your claim can be costly and mean that you will not be accurately compensated for your lost wages or your injuries. With the help of an experienced personal injury attorney serving Sunrise, you can have someone that will fight for you and seek the maximum possible value for particular claim. INJURED? A Personal Injury and Car Accident Lawyer Serving Sunrise Can Help! For wrongful injuries in car accidents, from product defects, from negligence on the part of a business, Tucker Law has you covered to seek top dollar for your injuries. We have handled negligence cases with regards to nursing home abuse and many instances of personal abuse. If you feel that you were injured as a result of the negligent behavior of another person, call the Firm that serves Sunrise residents for personal injury. Let our Firm begin putting your case together today. Enjoying a good quality of life after an accident can be difficult, but by getting the compensation you need to maintain your finances, your quality of life will improve. The personal injury attorney law firm of Tucker Law is here to help you get your life back on track.